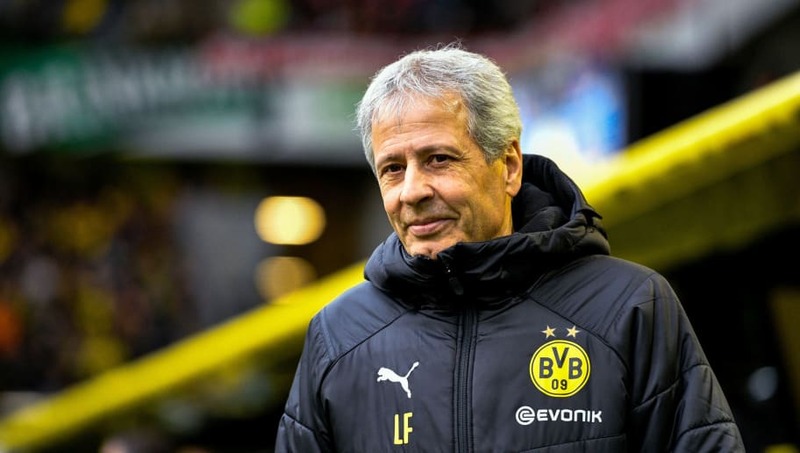 Borussia Dortmund manager Lucien Favre lauded his side for showing their patience during their 2-0 win over SC Freiburg on Saturday. The Black and Yellows had a number of opportunities thwarted before Marco Reus' opener from 12 yards, converting a penalty which was brilliantly won thanks to Jadon Sancho's trickery. Borussia Dortmund then had to wait until the 91st minute before doubling their lead, when Paco Alcácer rounded off a devastating counter-attack with a simple finish. "We played against a very compact and a very well-organised team," Favre told the club's official website. "It was very difficult for us to find the gaps. Fortunately, we stayed patient. "We waited for the right moment before we accelerated going forwards either with our passing play or individually on the ball. We did that pretty well. "I think we were worth our win. Freiburg is a strong opponent. You can't forget that they got a point away at Munich and that they won 3-1 against Gladbach." The win at the Westfalenstadion ensured that Borussia Dortmund remain the only unbeaten side in the Bundesliga, with their only defeat across all competitions coming during a Champions League group stage match against Atlético Madrid. Although Der Klassiker has already been and gone, Dortmund's biggest game of the season arguably comes next week. Favre will prepare his side for a short trip to bitter rivals Schalke 04, a match which produced the game of the season last year. Both sides know that their place in the Champions League knockout stages has already been confirmed, so Dortmund and Schalke will put everything into winning next week's Revierderby.